Earlier this month, a number of indie bands—Wet, Frankie Cosmos, Cass McCombs, MAS YSA, and more—teamed up for a fundraising concert in support of Bernie Sanders. More musicians are coming to Sanders' aid in Iowa this weekend, as Vampire Weekend and Foster the People will take the stage at the University of Iowa Field House in Iowa City. Doors open at 5:30 p.m.; you can find more information here. 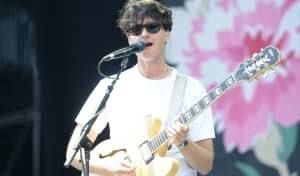 This will be Vampire Weekend's first concert since Rostam Batmanglij publicly declared that he was leaving the band. Iowans head the the polls next week.